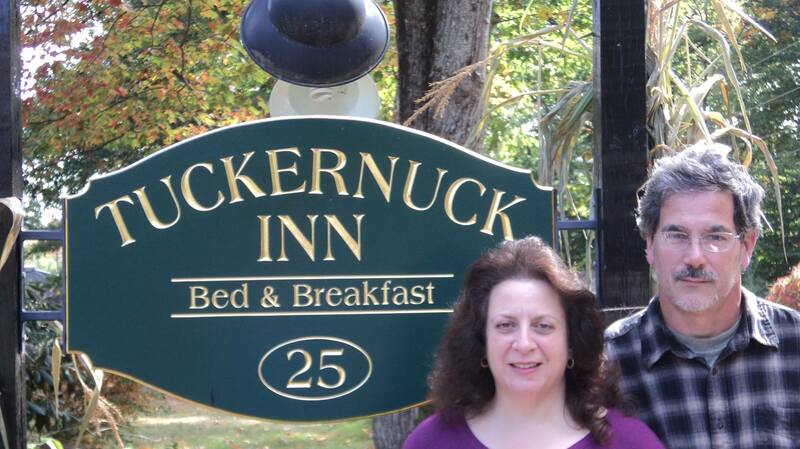 Annmarie and Tom are pleased to be your innkeepers at The Tuckernuck Inn Bed & Breakfast. They have had the pleasure of being the innkeepers at the Tuckernuck Inn B&B since 2014. Finding the perfect fit for a bed and breakfast on Lake Winnipesaukee was an 8 year process for the pair, and both could not be more pleased to welcome you to the cozy, romantic, and relaxing Tuckernuck Inn Bed and Breakfast. Prior to coming to the B&B as its new innkeepers, Annmarie spent 20 years in the non-profit sector and Tom was and still is an active Real Estate agent licensed in New Hampshire and the owner/operator of his own Home Inspection Company, Red Gate Inspections. While enjoying your stay at the Tuckernuck Inn B&B you could kill two birds with one stone, so to speak, as Tom would be happy to discuss any B&B real estate or home inspection needs you may have!! The Tuckernuck Inn Bed & Breakfast staff is rounded out by its two cuddly and loving terrier/poodle mix dogs, Kokoa & Farley. Kokoa and Farley spend their time in the owners’ quarters and in the yard during their daily walks. Be sure to say “hi” if you should come across them on the grounds! Annmarie and Tom are committed to making your stay at the Tuckernuck Inn an enjoyable one!